The context: As a teen runaway, Rickie Lee Jones drifted from Washington down to Venice Beach, where she fell in with a neo-bohemian crowd that included Chuck E. Weiss and her future boyfriend Tom Waits. By the time she signed with Warner Bros. and released her self-titled debut album in 1979, Jones had garnered a reputation as the West Coast singer-songwriter most likely to shatter the laid-back country-rock mold then dominating the L.A. scene, and to popularize the jazzier, more character-oriented song style that Waits and Joni Mitchell were already pursuing. 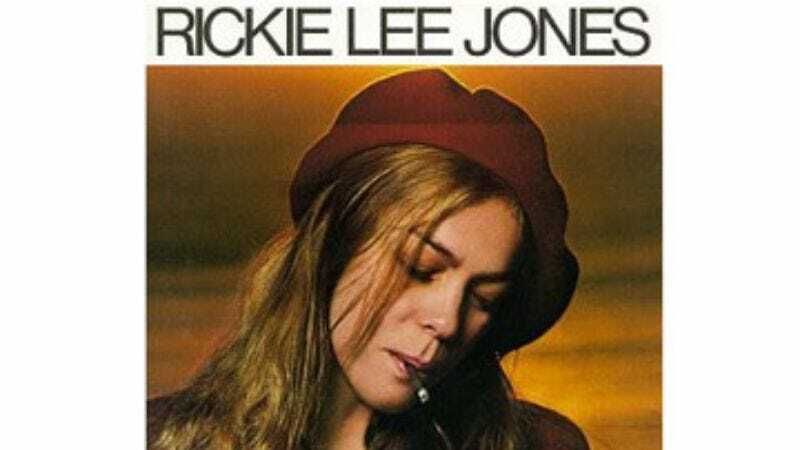 The greatness: As expected, Rickie Lee Jones became a platinum-level hit, capitalizing on Waits and Mitchell's experiments by smoothing them out and giving them a cocky, playful attitude. The Top 10 single "Chuck E.'s In Love" opens the record and sets the tone, with its loping beat and erratic Jones vocal, weaving haphazardly across lyrics that translate street-corner chatter into a slyly boastful declaration of love. The rest of the record follows suit, dredging up childhood memories and urban legends with the same relaxed vibe, full of boho funk and casual elegance. Defining song: The bass plunk and brushed drums that open "Night Train" clear a path that Jones strides down first tentatively, then confidently, ranging up and down her register as she sings about a romance—possibly with a man, possibly with narcotics—chugging as fast as it can, one pace ahead of oblivion. The way Jones croons "blue" in "blue horizon" is enough to make anyone understand how joy and pain are both a kind of ecstasy.